The Silverline Gel Palm Anti-Vibration Gloves are synthetic work gloves with a durable construction, breathable back-of-the-hand for increased comfort and neoprene knuckle patches for enhanced protection and increased longevity. Featuring gel palm pads that absorb shock and dampen vibration, these gloves are ideal for power tool use and machinery operation. Neoprene patches are sewn onto the knuckle of each finger to protect this vulnerable area. These patches also reduce wear on the knuckles, therefore increasing the durability of the gloves. 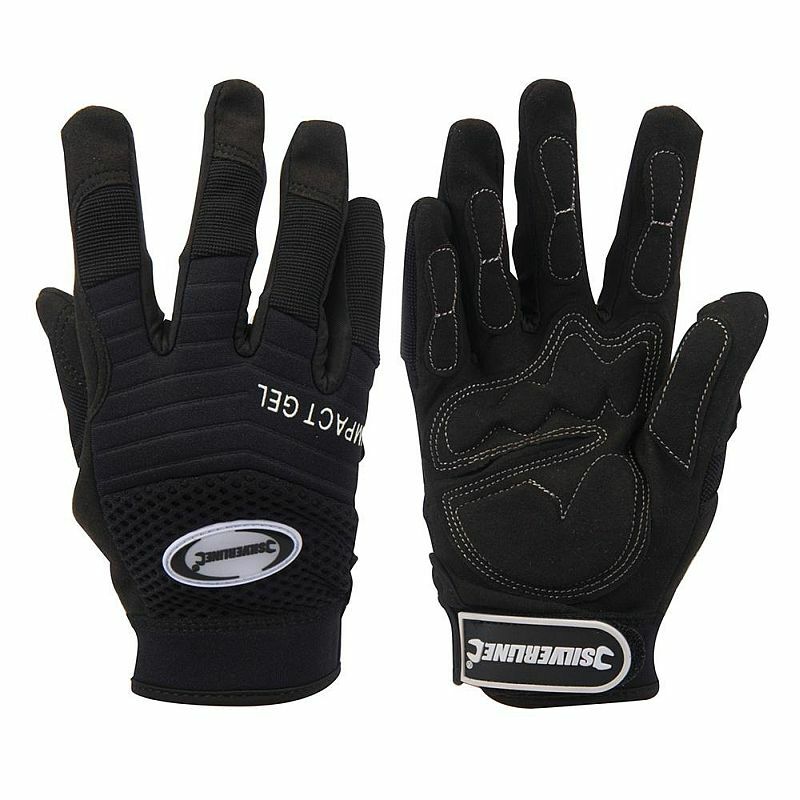 The Silverline Anti-Vibration Gloves feature durable synthetic suede palm pads with gel inserts. These gel inserts are thick enough that they effectively absorb shock to reduce vibration when operating machinery and power tools, but are thin enough that they do not inhibit dexterity or cause hand fatigue. The Silverline Gel Gloves are available in one universal size. Due to the stretchy nature of the glove, this size should be suitable for most users.